I may fail, in my pursuit of business/career. I may find it difficult to solve the problems that might arise in course of doing a business. However, that is not the reason to sacrifice my free will and choose to pursue MBA or any other so-called “further education” programs right after my BBA. 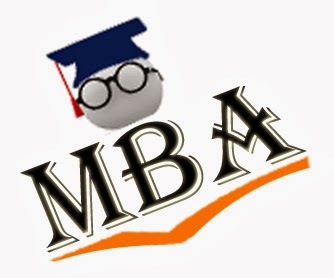 MBA is not an accomplishment in itself and therefore, not a matter to boast upon. My philosophy, boast upon something that is worth it. I should again not forget that if I flee from business to take refuge in education and pursue MBA, what will I do after MBA? Isn't it the same thing again? Won't I be facing the same decision-making situation? Or even the situation might turn out such that I might have to forget doing the business and just do some job, even if that might be for a short period of time. Probably, I’ll have a changed perspective and the new way to look at things and problems after I complete MBA. But can’t I have this new perspective without having to do MBA. Don’t I have any other alternative ways to get this changed perspective? Another instant benefit I'll have upon completing MBA is the credibility and trust from everyone: parents, prospective investors, banks, creditors, and almost everyone. Probably this is the greatest benefit of pursuing MBA and although there are workarounds to gain trust and credibility, this would be the easiest and the most certain source of credibility and trust. Probably my increased persuasion power and confident dealings will be even more supportive. However, because MBA is not an accomplishment by itself but just a preparation for one, I feel that it will waste my two more years which could otherwise be wasted in doing something that I could pride upon. Monotonous study and lack of achievement (except academic certificates) are something which bother me every now and then. Moreover, upon analyzing the MBA courses, I feel like further education is not the solution I’m seeking for! MBA on entrepreneurship, which I'll possibly pursue, will just be a theoretical examination of the practical possibilities that can be better tested in the real world than with pens and papers. MBA in Economics is another course I find interesting. However, it is well suited for doing a job at some Federal Bank or a high government/NGOs/INGOs post. Probably studying Economics would be somewhat enjoyable but still not worth spending too much time since doesn't suit my aim. I'm not interested in other MBA courses such as MBA in finance. However, MBA in marketing might be worth pursuing. I must see the detailed curriculum of this subject. But again, too much of theoretical knowledge without any output is almost the same as having no knowledge. And I am fed up off just studying and forgetting everything later. Additionally, MBAs in the United States require some year of working experience. That practice is quite better than the continuous academic study till you Graduate. It is, in fact, the real way to learn. Studying monotonously doesn't ensure creativity and moreover, you forget most of the things you had once learned. Work experience in students will help them assimilate the knowledge they had learnt in their undergraduate level and make them better prepared to pursue further education courses. For me, right now, there are only two rational reason to study MBA. First to see what is there in it and to cross check whether I would have missed anything by not pursuing it. Second, to gain the confidence of people especially in my subsequent pursuit of business (possibly, entrepreneurship). However, because studying MBA abroad is more valuable, it has some additional contextual benefits. First of all, I would get more exposure and see the foreign world, especially the systems, values and culture. Next, I might get chance to lead a better life there. Third, I will have diverse network of friends there which might be useful in my life later on. So, even though I am planning not to pursue MBA straightaway, I might consider pursuing it abroad in the future.